“The MTA Song” appeared in 1956 as a campaign song for the mayor of Boston Progressive Party Candidate, Walter O’Brien. Also known as “Charlie on the MTA,” it was written in protest of the proposed fare increase requiring riders to pay on entering and again on leaving the subway. The song inspired me to salute the W.S.F. (Washington State Ferries) as well as the Lopez Ferry Landing crew, the Bean Café, and friends on San Juan Island who kept me from being “the writer who never returned” last week when the Lopez dock malfunctioned. Who boarded the Tillikum last week. Will she ever return? Oh, will she ever return? Who knows when they’ll fix the dock? The writer who never returned. So she trudged uphill to the Bean Café. And the Tillikum wouldn’t be able to dock. While the Tillikum sailed past Lopez. And the M/V Hyak shuttled Iris (and three other Lopezians) back home! And became the writer who always returns. I was back today, this time, better prepared for delays—that never happened. 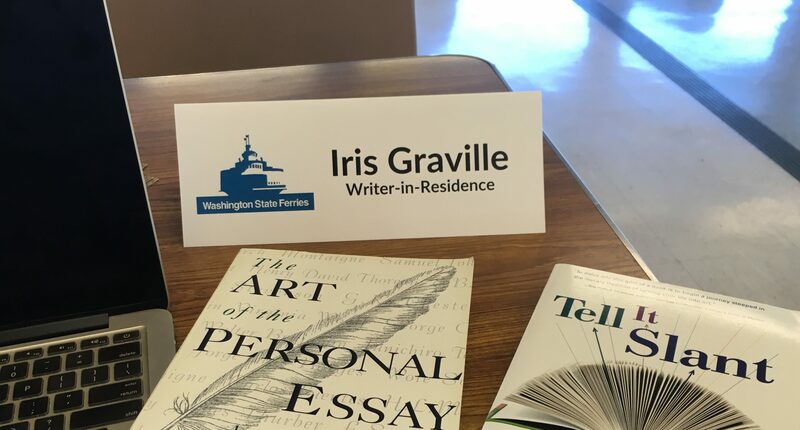 This entry was posted in Washington State Ferries, writer-in-residence. Tagged Charlie and the MTA, Kingston Trio, Lopez Island, MTA Song, San Juan Islands, Tillikum, Washington State Ferries, writer-in-residence, writing. What a fun song! I’m looking forward to hearing it set to music. A creative way to turn lemons into lemonade! Glad to hear you got back home, and also that you’re back out adventuring! Sounds like it was quite the time up there last week…! Inter-island friendships: one of the twelve essentials! You’re SO right, Kathleen! Thanks for reading and commenting.